The $30,000 Rea Award for the Short Story has been awarded to ANDRE DUBUS. Jurors for the 1996 Rea Award for the Short Story were the writers George Garrett, Barry Hannah and Jayne Anne Phillips. Andre Dubus has been committed to the short story as his primary form of fiction writing. His short story collections include Separate Flights, Adultery and Other Choices, Finding a Girl in America, The Times are Never So Bad, The Last Worthless Evening, Selected Stories and a new collection, Dancing After Hours. Dancing After Hours, published in early 1996, appeared almost a decade after his previous collection, Selected Stories. 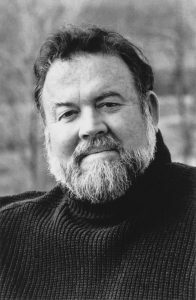 The long silence was due to an accident which left Andre Dubus bound to a wheelchair. Stopping to help a motorist in trouble on his way home one night, he was struck by a car, shattering both of his legs. His belief in living life to the fullest is reflected in the title story of Dancing After Hours. One night in a bar, a quadriplegic tells about his decision to go skydiving. His risk-taking influences a young woman, who has led a self-imposed lonely life, to open herself up to people and new experiences.